You own millions of dollars in capital equipment and facilities, and if is not on the road, on the job site or up and running in your facility, you are not making money. Your biggest headache is downtime. The Best Solution, believe it or not it is CLEAN. There is a cost to DIRT, GRIME and SLOPPY. Everything starts with CLEAN. That’s where Hotsy Cleaning Systems can help. 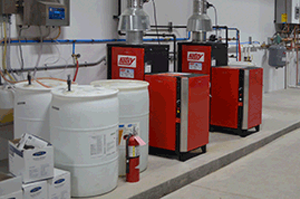 We offer Hotsy industrial pressure washers and Cuda parts washers. 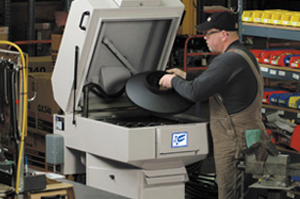 With four locations in Wisconsin, we serve all of Wisconsin and Michigan’s Upper Peninsula. We service what we sell, so you can count on us to be there when you need us, providing excellent customer service at every step. Our certified technicians perform pressure washer repair at your location or in our shop. 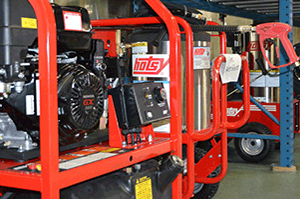 We rent Hotsy pressure washers by the day, week or month. Call today for availability. 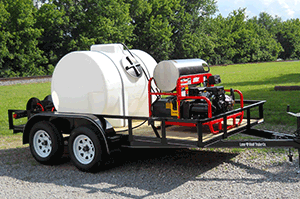 We'll design custom mobile trailer systems designed to your specs so you can clean on the go. 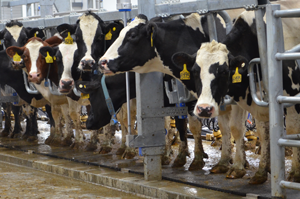 We offer a complete dairy hygiene & sanitation system from teat dips to pressure washers, we do it all! Industrial-strength designed for daily cleaning. Portable and stationary pressure washer models. 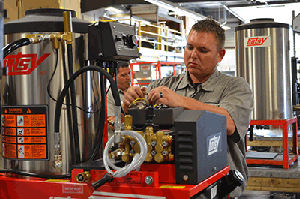 Your staff can focus on other tasks while Cuda parts washers clean parts and components. 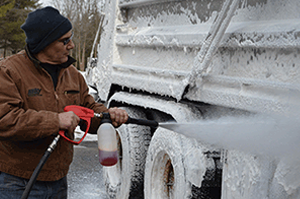 We offer a full line of detergents designed to work with your pressure washers. 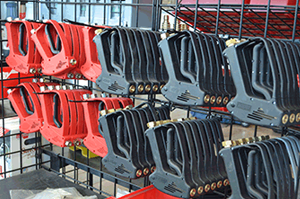 Nozzles, hoses, lances, and hose reels...we have the largest parts supply in the U.P.